Aaack! It’s almost January 1, 2018! 2017 is nearly gone, and I’m sure I won’t be the only one looking back at the year, thinking about the ups and downs it held, or what the new year might bring. Based on stories from and interactions with friends on social media and in “real life,” I know many of us had plans, ideas and/or dreams for this year, and some exceeded our (and maybe their) expectations. The first one that came to mind was Storyteller Sarah Elkins‘ (Elkins Consulting) idea for a group of us who interacted a lot on LI to meet up in person in Atlanta in February 2017, at the first NLV (No Longer Virtual) conference. About 25 of us attended, whooped it up, laughed a lot, and learned a lot about each other we wouldn’t have known had we not attended. Social media is fine, but fact-to-face? So much better! And #2 — #NLVDenver — is now scheduled for February 22-23, 2018! Have you registered yet? The clock’s ticking . . . I also had the privilege of working with several friends and colleagues on their books and articles, all of which I enjoyed immensely; based on the reviews and sales of the books, I’m in good company. And with the wide variety of projects to work on, I learned a lot about subjects I had little understanding of before. It’s one of the things I love about what I do! Deb Helfrich, the founder of Insights Occur, wrote Second: A Tale of Grief & Puppy Love, about losing and finding love again, something most of us can relate to. Having had many dogs and two cats in my adult life, I sure do appreciate this book because it speaks from her heart to mine. And I bet it’ll speak to yours, too. Best-selling author Heather R. Younger, J.D.’s book, The 7 Intuitive Laws of Employee Loyalty, is a best-seller in its niche. It’s a terrific reminder of why employees are loyal (hint: it’s not the money), and it shows how to create an environment that accomplishes that in your company. If you’re a business owner, you need to read this book! Writer/trainer Marietta Crawford Gentle‘s book, From Nine to Thrive, is a must-read if you want to know how to brand yourself. We all have personal brands; many have business brands. We need to be smart about how we’re seen. And if you’ve read her posts, you know she’s the real deal. I learn from everything she writes. Award-winning author Sandra Elaine Scott created a wonderful adult coloring book, Color Me Sane, to help us adult doodlers find a way to de-stress. But that’s not her first book, not even close. Check out her other books on Amazon.com. Rounding out the year for books I’ve helped with is Business Coach Larry Boyer‘s The Robot in the Next Cubicle, due out August 2018 (preorders are being accepted at Amazon). Did I learn as I worked on it? Oh, my. Yes. So much I knew nothing about. John White, MBA (Social Marketing Solutions), a globally recognized columnist for Inc. magazine, an international conference presenter, and someone who was named a top 5 most influential CMO by Richtopia. He has taught me more about using social media than I ever imagined, and I am truly grateful. Dustin McKissen (McKissen + Company), twice an LI Top Voice, currently a columnist for Inc. Magazine, a contributor to CNBC and Venture Beat, and VP for Entrepreneurship & Marketing for the EDC Business and Community Partners. Dustin’s a prolific writer with a social conscience, and some strong and smart ideas for supporting entrepreneurs, especially in the U.S. heartland. Mark Anthony Dyson (The Voice of Job Seekers), an award-winning career advice blogger and podcaster (who interviewed me twice), and author of a free ebook entitled “118 Job Search Tips.” His podcasts are full of fun and insights into his interviewees’ passions. And his voice. Yeah. Trust me. John Sattler (CPC, CPRW, Career Solutions), Certified Resume Writer / LinkedIn Profile Writer / Job Search Coach – Provides Personalized 1-to-1 Premium Service, who creates resumes that are visually arresting, clearly highlighting an executive’s strengths and experience. Lisa Jones (Specialized Resume Services), Resume & Academic CV Writer | LinkedIn Profiles | Job Search Strategist | SPN, creates SEO-rich executive resumes. She also creates tip sheets for those seeking new jobs and posts them on her website. And to wrap up this year and start 2018 off in fine style, John White, MBA, and I have formed a collaboration to help more professionals be seen on his blog — as guest bloggers. There is nothing like partnering with a social media expert or having your blog shown on his site (he has over 170,000 connections on social media!) to ramp up your own efforts. 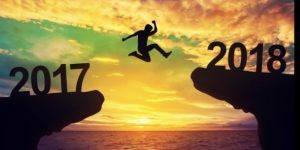 How did YOU succeed in 2017? What are your plans for 2018? 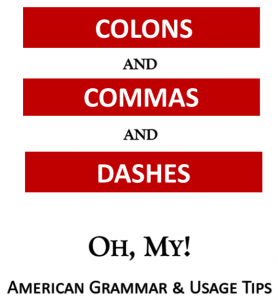 ← No Apostrophes in Plurals!